Searching for the perfect gift can be difficult! Find the perfect nostalgic phones and accessories right here, for that special someone with a bittersweet longing for possessions from the past. 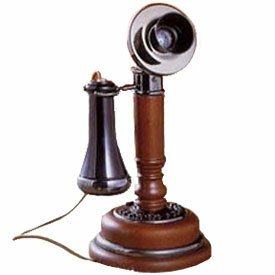 Golden Eagle Electronics classic desk phone. 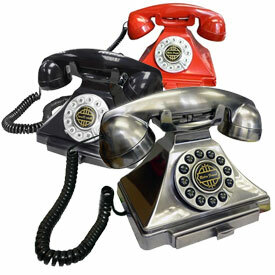 Golden Eagle GOL-GEE-2518CR Classic Brittany Desk Phone Chrome. Classic Brittany Desk Phone CHROME. The Golden Eagle Electronics Novelty Wooden Candlestick Phone has a real hand carved wooden base and handset, combining a nostalgic, rustic design with modern technology.